If you’ve found yourself at your wit’s end at the park, screeching “come baaaaaack” to your rapidly disappearing preschooler, then lean a little closer to the screen. Mum Hayley is in the same boat. She sent an SOS to our favourite Mothercraft nurse, Chris Minogue, explaining her daughter was bolting in the other direction when they were out, and pleading for a fix. Chris had some excellent, bright ideas, noting that keeping a handle on anger and frustration, and disciplining more gently can help reroute this pattern of behaviour into something less fraught. 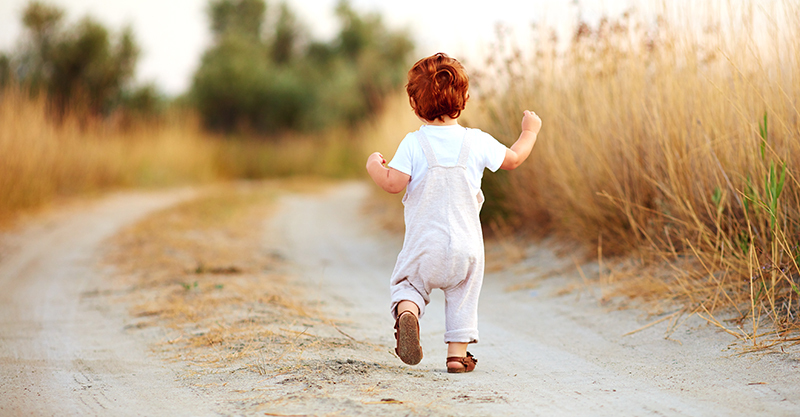 If your child is doing a runner, Chris suggests taking a deep breath and being more patient than you might think necessary. You might be going out of your mind a little with frustration at this point if you are this mum in the park, but Chris says hanging in there and implementing consequences calmly at this point is key. Chris says parents are often under the pump, but slowing things down with your child, being patient and encouraging them to listen is what’s at the heart of this issue. Chris also notes that while it’s great to get down on their level and go eye-to-eye with your child, it’s not going to work if they are halfway across the park. She suggests not running after them – if that’s safe and age-appropriate – instead of waiting for them to return and then keeping things calm with her ‘gentle consequences’. In Chris’s book patience, love and these ‘gentle consequences’ are brilliant first steps to teaching little ones to listen and learn.